Access the Samsung Presto administration page. 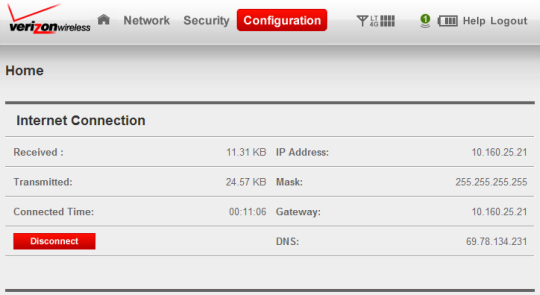 From the Home screen, select Configuration (located at the top of the page). 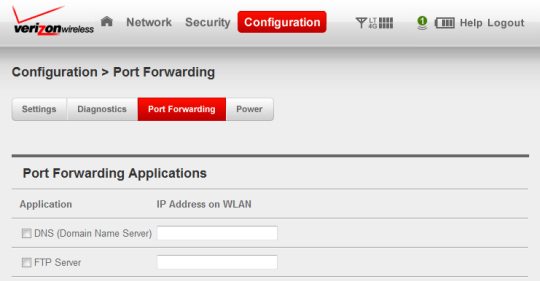 From the Configuration section, select Port Forwarding. 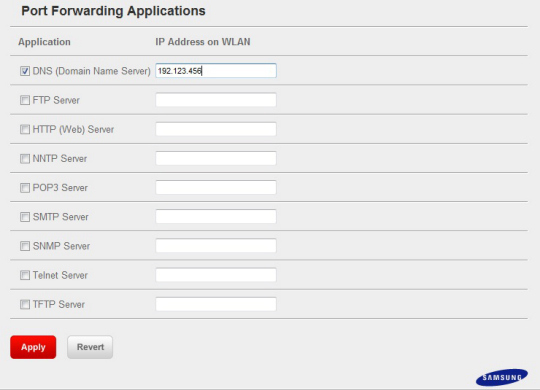 From the Port Forwarding Applications section, select the desired Application and enter the corresponding IP address in the IP Address on WLAN field. 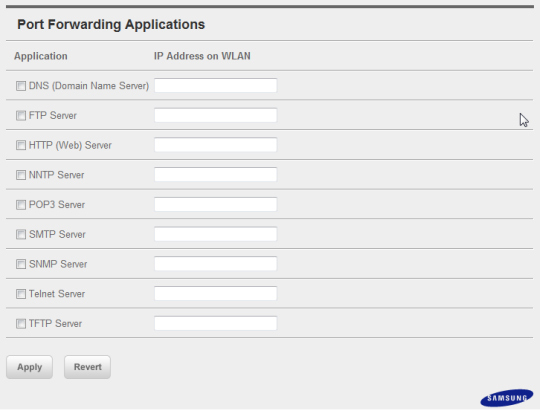 Application is selected when a checkmark is present.